My career coaching practice is growing due to your client referrals. I sincerely thank you for sharing your success stories and for recommending me to your friends, family and colleagues! I would highly recommend Trish to my colleagues and friends alike. My experience working with Trish was excellent. She continues to exceed my high expectations. As a career strategist, she brings a wealth of experience and deep insights to every interaction. What impressed me most was her willingness to dig in to understand not just my professional background but me as a person. By doing this, her deliverables were always crisp, relevant, and impressive. Trish also did some great work and coaching for my son Patrick who is a recent college graduate. In closing, I would highly recommend Trish to others. She is my career strategist, coach, and now my friend. Trish Thomas is at the heart of the success of her clients. She offers career solutions ranging from resume creation to executive coaching and her niche specialty: LinkedIn expertise. Trish re-designed my LinkedIn profile and it immediately positioned me to attract more interest by helping potential new clients find me with ease. I’m getting more attention by the week and produced a new client lead within 24 hours of uploading the new profile! If you want to truly stand out and showcase what you do best, Trish Thomas is the key to giving you the edge and refining your personal brand. Without Trish’s assistance, odds are the job won’t come to you. Trish is great – she is easy and fun to work with. I worked with Trish on both updating my resume and also my LinkedIn page. She was able to take the information I provided her and create, in my opinion, a superior product in both cases. I know Trish really puts a lot of time and effort into being knowledgeable and up to date on all matters regarding career coaching and resume writing. I would highly recommend Trish. Looking to advance my career, I enlisted the help of Trish Thomas of EDGE Career Solutions. She was tremendous! She worked closely with me to update my resume, giving it a fresh look and easy to read format. I am confident that my “resume makeover” helped me to secure the great position I just accepted. Thank you so much! Trish helped my daughter with her resume and Trish was very knowledgeable, delivered the information to my daughter quickly. She was very personable and I would recommend her highly. I was relocating to a different state, looking to make the jump into management. I knew I could not do it on my own. Trish of EDGE Career Solutions updated my resume, highlighting my strengths and accomplishments. The cover letter she wrote for me provided a strong introduction and convinced the hiring manager to bring me in for an interview, even though I had no management experience. EDGE Career Solutions gave me the competitive edge I needed. I was hired and now manage my own department. Thank you EDGE Career Solutions! Faced with an impending layoff from my position in food service management, I knew I needed the help of a pro. I approached EDGE Career Solutions for help. Trish updated my resume and created for me an impressive cover letter. The professional layout highlighted my experience and I received a job offer the first week of my job search. I highly recommend Trish Thomas! I hired EDGE Career Solutions for a resume and cover letter for a college internship – and the experience was great. I appreciated the fact that I was able to speak with the actual person who would be creating my resume. Although I do not have a lot of experience, Trish created professional looking documents that I proudly submitted to prospective employers. Soon after, I was offered an internship with a prominent publishing company in Manhattan. As I was approaching graduation, I hired Trish Thomas again to update my resume to position me for a professional career. It did not take long before I was hired into a great position that I absolutely love! Thank you Trish – your guidance and advice was priceless! I recommend EDGE Career Solutions to all my friends, family and colleagues. EDGE Career Solutions helped me update my resume and wrote a strong cover letter that not only resulted in an interview, I got the job! The price was very reasonable. It was worth every cent — plus some! I am very pleased with Trish’s services and would recommend her to anyone not wanting to tackle their resume on their own. I recently hired EDGE Career Solutions to update my resume. Trish did a great job! The updated format is clean, and easy to read. She included all the current industry buzz words so that my resume stood out from the rest! My interview prep sessions provided me with the confidence I needed to ace the job interviews. I received four job offers in one week and am now enjoying a rewarding new position with a popular upscale restaurant. I highly recommend Trish’s services. I was introduced to Trish through a colleague at work who had hired her to turn around his job search. I needed help in preparing a professional resume, cover letters, LinkedIn profile, etc. Trish is very focused and has a quick turnaround in her work. She has the ability to make you think outside of the box. I highly recommend Trish and plan on utilizing her expertise again in the near future with help on interviewing techniques. I wrote my own resume and cover letter and applied to over 35 jobs with no call backs! Then a friend recommended that I contact a resume expert – Trish of EDGE Career Solutions. She put together the best resume and cover letter. She definitely knows what she is doing. 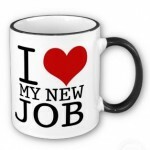 I had interviews scheduled in just a few weeks and landed a great job that I really enjoy!. Thank You for everything. EDGE Career Solutions did a great job on my resume and cover letter. Trish was easy to work with and the price was right. I was promoted at my current company and received a significant salary increase! I have referred several family members, who were just as pleased with the results. I highly recommend Trish. She really knows what she is doing and made the process painless!